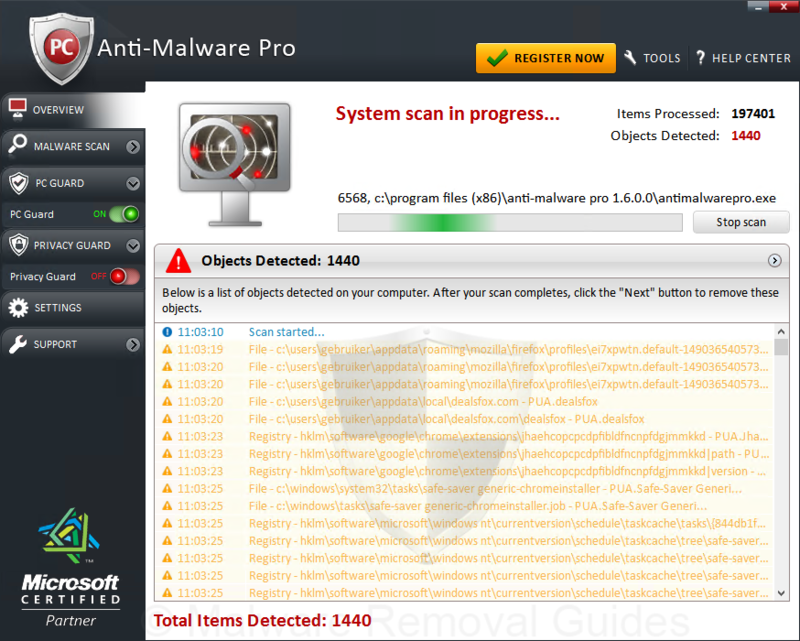 Anti-Malware Pro 2017 is an illegitimate or doubtful Microsoft Windows application, or better a “Potential Unwanted Program” (PUP) that is promoting itself as a free advantage program and Microsoft Gold partner that solves common performance problems and remove malware like system problems, malware, performance problems, privacy items, and junk files. This software is not classified as rogueware, because it has not enough points fot it. The truth about Anti-Malware Pro 2017 is that the program is based on fake system scans and display misleading, limited, harmful, and fake results to claim that your computer has serious problems. With this fake system scans and misleading messages that need to be repaired is in order to target and trick unsuspecting victims into purchasing the Anti-Malware Pro 2017 product to fix issues the found on the system. How did I get infected with Anti-Malware Pro 2017? The Anti-Malware Pro 2017 adware or other potentially unwanted programs (PUPs) are bundled with certain free software that primarily installs to your computer with or without your permission and knowledge. Downloadportals like “Softonic, Cnet, Brothersoft, Portalux” and similar websites which offer free software are the biggest problem of distributing adware and unwanted programs such as Anti-Malware Pro 2017. While installing certain free programs that may contain additional software or adware, it is important that you pay attention to the End User License Agreements (EULA), and the installation procedure. When you have the possibility of an Custom or Advanced installation option, it is a good idea to select these as they will typically disclose what other (unwanted) software will also be installed. How to remove Anti-Malware Pro 2017 and other adware? 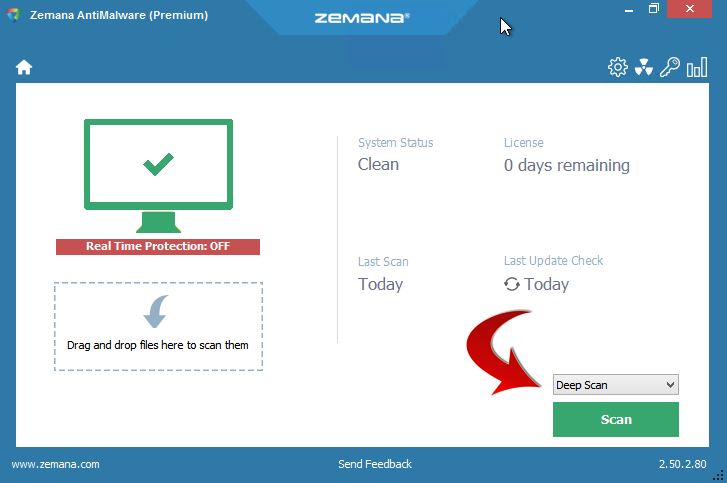 When the Anti-Malware Pro 2017 is installed on your computer without your knowledge, it is not easy to remove. Usually, there is a Uninstall Program entry that uninstalls Anti-Malware Pro 2017 from your computer, but mostly there are still many remnants behind of the adware that causes problems. In this case, you need to use the specialized tools found in this removal guide to cleanup your computer. 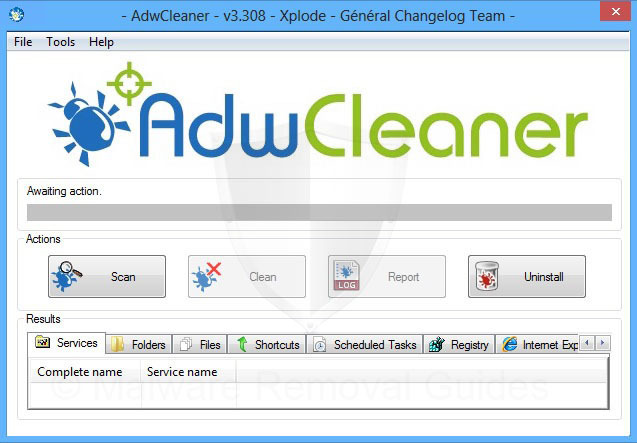 To remove this adware completely from your computer and cleanup the installed browsers, please use the guide below to remove Anti-Malware Pro 2017 from your computer. Remove Anti-Malware Pro 2017 from the softwarelist. Search for the name of the ‘Anti-Malware Pro 2017’ and click on Uninstall/Change.